Hi guys, you are ready for a big change for Google’s popular Hangouts? 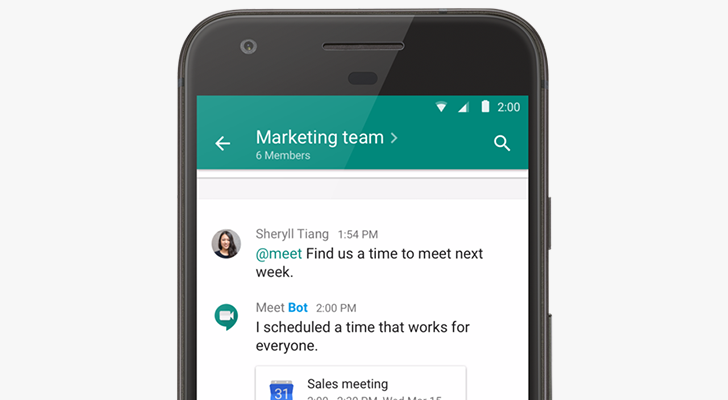 yes Google officially splits Hangouts into 'Meet' and 'Chat,' new apps and @meet chat bot coming soon. The search giant is splitting its video and chatting service -Hangouts- into two separate products to better appeal to business customers. As of yesterday, Hangouts Meet will be focused on corporate video conferencing while Hangouts Chat will target workplace chat and business productivity. Hangouts Meet is a video-conferencing platform with the goal of making online meetings as painless as possible. Meetings can be started simply by sharing a link - no fiddling around with logins, plugins, or native applications. Up to 30 participants can join in from the web, the mobile app, or even with a dedicated dial-in phone number if you are a G Suite Enterprise customer. Hangouts Meet is one of the most frictionless video conferencing systems we’ve experienced. Hangouts Chat, which is far more like Slack or Microsoft Teams than the previous Hangouts application. It supports multiple virtual rooms for each topic, threaded conversations, integration with other G Suite services, and a filterable search. 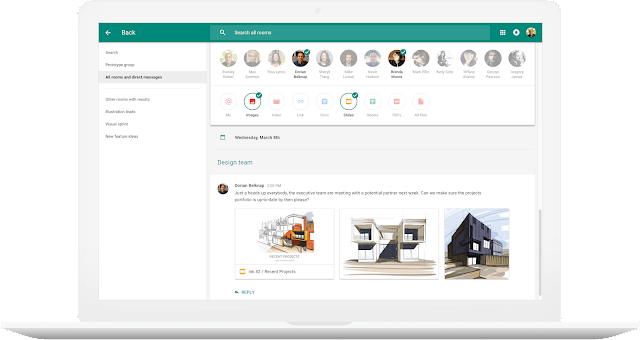 Hangouts Meet is rolling out to G Suite customers starting today, and Hangouts Chat will be available through the Early Adopter Program. See the link below for Google's blog post.